Sharlyne Silva, 30, 131 Green St., was charged on April 8 with second-degree breach of peace. Michelle Lee Michaud, 40, 117 Devens St., first floor, New Britain, was charged on April 8 with violation of probation. Diamond Mercedes Hardin, 19, 10 Erwin Place, first floor, New Britain, was charged on April 8 with second-degree breach of peace and third-degree criminal mischief. Adrian Smith, 35, 136 Beaver St., Apt. 1N, New Britain, was charged on April 8 with possession of narcotics, sale of certain illegal drugs and controlled substance within 1500 feet of school/daycare. Elias R. Colon, 37, 170 North St., New Britain, was charged on April 9 with violation of probation. Prisheska M. Reyes, 25, 15 Elam St., Apt. 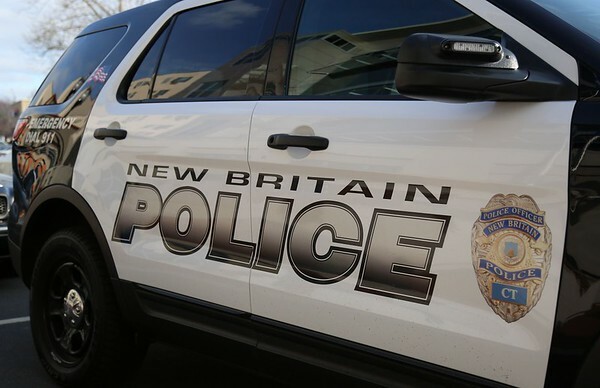 1, New Britain, was charged on April 9 with disorderly conduct. Leonel Cruz, 44, 16 Prospect St., first floor, New Britain, was charged on April 9 with second-degree mischief and second-degree breach of peace. Anthony Almodovar, 25, 24 Wilcox St., Apt. 2S, New Britain, was charged on April 9 with first-degree failure to appear. Maria Philpott, 44, 6 Saint Nicholas Place, New York, N.Y. was charged on April 9 with second-degree harassment. Posted in New Britain Herald, New Britain on Friday, 12 April 2019 20:25. Updated: Friday, 12 April 2019 20:28.